How safe are Bureau of Indian Education schools? Thousands of children attend schools operated by the federal Bureau of Indian Education, and for years, no one has known for sure if the buildings where they learn, eat and sleep are safe. That’s one finding from a recent report issued by the Government Accountability Office that has shaken the bureau, which oversees schools that serve about 7 percent of American Indian students — nearly 50,000 schoolchildren — scattered across 23 states mostly in the rural western and southwestern United States. The report says more than one-third of all 180 school locations have gone longer than one year without health and safety inspections. Of those, 54 sites haven’t been inspected in at least four years. 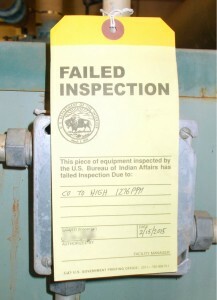 The Bureau of Indian Education mandates annual inspections for all schools. And among inspected schools, it’s unclear how many of them received improper or incomplete review, said Melissa Emrey-Arras, who directs education, workforce and income security issues for GAO. She said that in one instance, a “drive-by inspection” was conducted for a school complex with 34 buildings. “They’re at risk of endangering the children they’re charged with protecting,” Emrey-Arras said. Infractions included disabled fire alarms, missing fire extinguishers and 50-year-old boilers that failed previous inspections due to carbon monoxide or natural gas leaks but remained in use in student dormitories and classrooms, often located in remote regions several miles from the nearest fire station or hospital. And even when inspectors identified problems at these schools, needed repairs may not happen for months or even years — far longer than the required two-week response time, Emrey-Arras said. 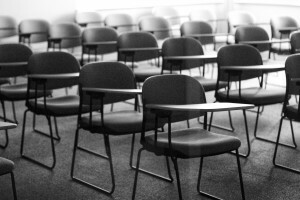 A boiler in a Bureau of Indian Education classroom building failed inspection because of elevated levels of carbon monoxide gas. Photo by Government Accountability Office. In recent weeks, a leadership crisis has erupted at the bureau. In March, an investigation by the Department of the Interior Office of the Inspector General revealed corrupt hiring practices that uprooted the bureau’s then-director, Charles Roessel. 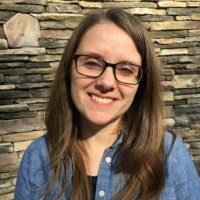 Ann Marie Bledsoe Downes, who has served as deputy assistant secretary at the Bureau of Indian Affairs, has been named the acting director after Roessel left. Meanwhile, about half of high school students enrolled in the bureau’s schools graduate, compared to two-thirds of American Indian and Alaska Native students who complete their education at public schools. But advocates for the bureau’s schools stress that these places serve students who live on or near remote reservations where few resources are available. For many students, options are scarce. During a recent Senate subcommittee hearing on Indian Affairs, members proposed legislation to offer Native American students vouchers to schools that would compete against the bureau’s schools. Lawrence Roberts, the acting assistant secretary for the Bureau of Indian Affairs, cautioned that these vouchers could further deplete resources for a vulnerable student population. He also promised to reorganize and reform the Bureau of Indian Education by the end of this year as well as introduce a plan within three months to update the bureau’s worst schools. “I pledge we will have every school inspected this year,” Roberts said during his testimony.